This lovely piece is both delightful to behold and functional! The picture frame is shaped like a heart, made of pale yellow flowers and their stems, and upon one side rests a boy fairy. 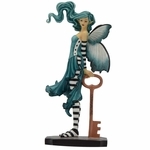 The pixie lad is wearing a blue outfit, with yellow tights, and he has translucent blue wings. 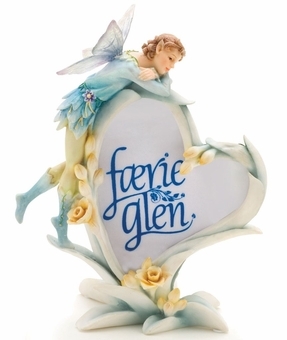 The fae gazes wistfully over the photo frame. 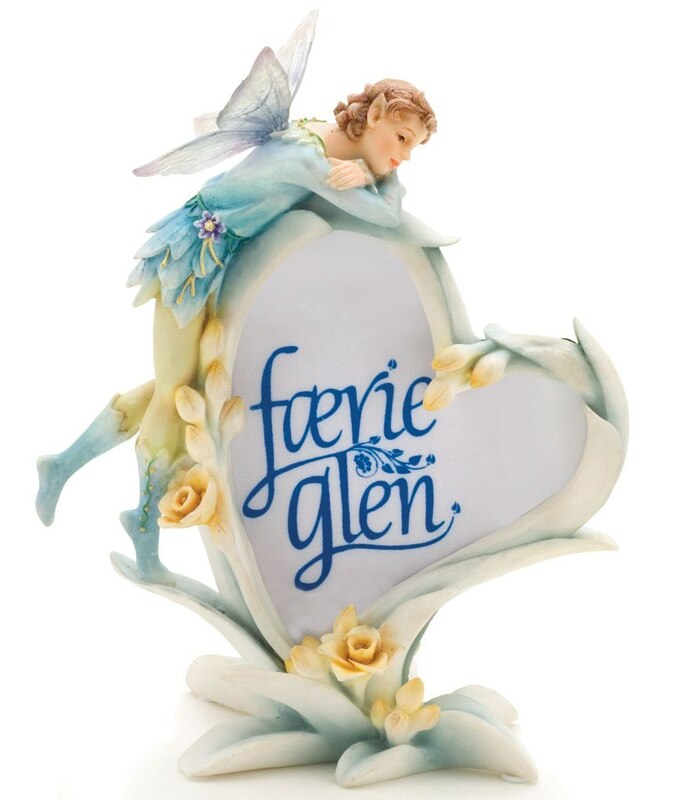 The perfect way to display a treasured memory and express your love of faeries, all at once!